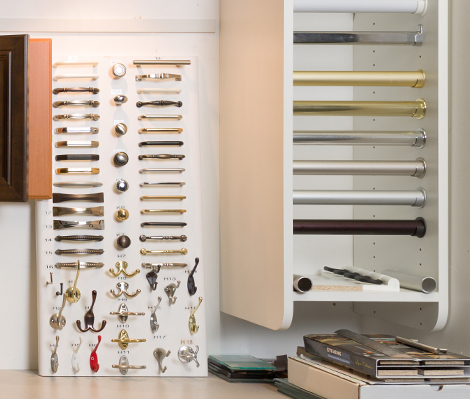 Our hardware selections help make your space more functional without sacrificing style. Ready to get started? Call the design professionals at Beyond Storage in St. Louis to get started today at 314-997-0150 or feel free to submit a free design consultation form request.